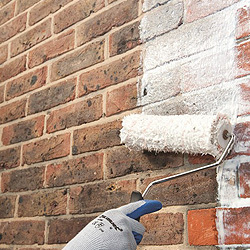 Paint failure is often a cause of individual bricks and their levels of porosity. The presence of salts causes efflorescence and flaking. The presence of coloured substances, like iron salts, can cause severe staining – especially when water based paints are used. Highly glazed bricks don’t provide a good key for paint surfaces. Adhered dirt leaves a greasy film and this can cause paint to flake. 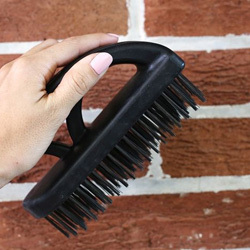 Old, exposed bricks can have a loose, powdery surface which doesn’t allow for the paint to adhere properly. Remove all traces of dust, dirt and paint splashes. remove coating to the original surface. clean to remove dirt and grease.